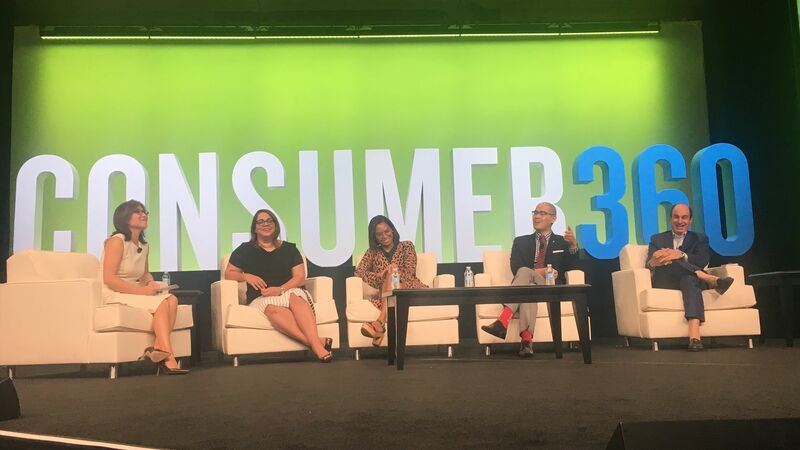 Speaking at Nielsen's Consumer 360 Summit in Washington, executives from brands, publishers and non-profits agree that using traditional demographics, such as race and religion, to target advertisements to people is often less effective than targeting people by their diverse interests, such as movies and hobbies. Why it matters: Data-based marketing has made this type of targeting possible. In the past, placing TV or newspaper ads allowed marketers to target by age, gender and location. Today, there are many more targeting opportunities, and more diverse targeting can be more effective. By the numbers: A whopping 71% of real total expenditures growth from 2005-2015 came from ethnically-diverse consumers, according to Nielsen's Consumer Expenditure Study. Today, 21 of 25 of the most populated U.S. counties are a multicultural majority. And 44% of multicultural millennials choosing to live in the Top 10 Nielsen Demographic Marketing Areas (DMAs), including New York, Los Angeles, San Francisco and Houston. Multicultural millennials who are active on their mobile devices spend over $65 billion per year — with an increasing majority of those dollars being spent online. They also influence more than $1 trillion in total CPG and entertainment spending. "The definition of cultural ID is changing," says Maya Peterson, Director, Creative Strategy, Viacom's marketing services team, Velocity. "It's not just a thing you're born with, like race or religion, but it's really about passion, interests and hobbies." Peterson says a survey Viacom conducted found that found consumers are least passionate about the qualities they born with, but rather they pick "passions" and interests to identify themselves with. "As marketers, we need to be more fluid in ways define this generation." Dual identities is also prevalent within this generation, says Lia Silkworth, SVP of Insights and Consumer Development at Telemundo. "We have to acknowledge and understand that people have plural identities in this country." She cites a consumer who identifies equally as being English and Pakistani. Understanding sentiment around culture is important too, says Grant Schneider, Chief Strategy Officer of the Gay & Lesbian Alliance Against Defamation. GLAAD, he said, commissioned a survey to learn how comfortable people are with the gay community — to target them based on their comfort levels, not their own identity. Our cultural assumptions inform our algorithms, says Edwin Wong, SVP of Research and Insights at Buzzfeed. Wong says that marketers often assume that programmatic targeting is binary: "Are you a man or a woman?" But many people don't identify with gender or other qualities as being one or another, but rather being somewhere on a sliding scale or a spectrum. "Our algorithms and statements use historical data to target, and if we don't understand the consumer, what does it mean about our algorithms? Our programmatic advertising? Who exactly are we targeting?" he said.